Buffered and unbuffered channels have different behavior around guarantees and latency. Knowing which to use in certain scenarios is paramount. A fun look at using Go’s execution tracer to trace and create profiles of a long-running process to squeeze out more performance. libvips is essentially a faster modern alternative to ImageMagick. Go is a great language to build scalable social networks. 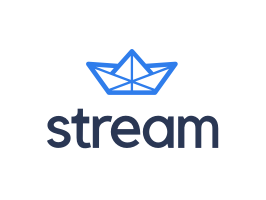 We've built a robust Go client to make integrating with Stream easy & painless. Build, scale and personalize your news feeds and activity streams. From the creator of the Sidekiq background processing framework, Faktory aims to be more language agnostic, among other things. There’s an official Go client here. Don’t get too excited, these are minor point releases but contain a variety of fixes and are worth upgrading to. Join an enthusiastic multicultural team rebuilding our hotel booking monolith into Go microservices using the latest tech stack. A response to the original creator of Node.js saying Go is better suited to large-scale server-side work. Brings support for OpenCV 3, GoPiGo3, and the Holystone HS-200 drone. Check this example code to see how easy it is. The importance of maintaining version dependencies for your microservice architecture.